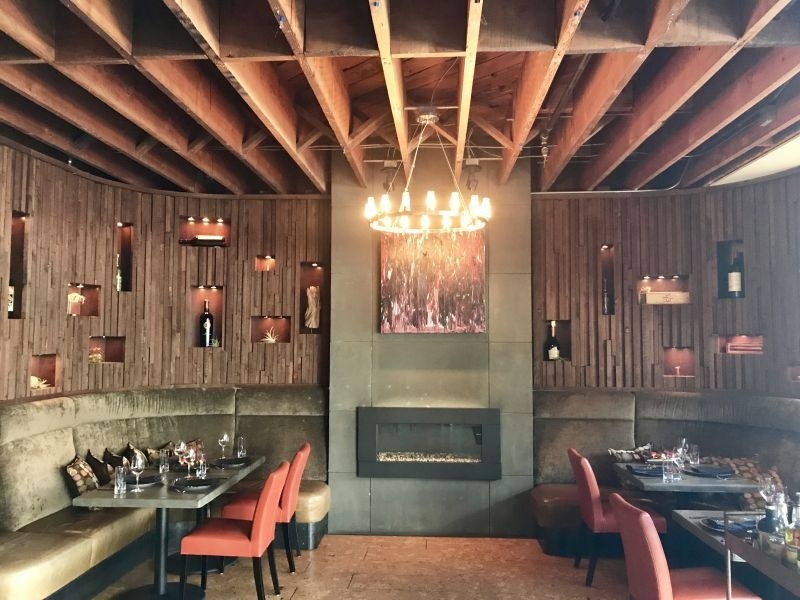 We have big love for the restaurant 1313 Main. You may recall we had an amazing brunch experience there when we first started our blog. We haven’t been able to go back since that time, but have always wanted to. The new relaunch of Locals Night and Happy Hour seemed the perfect opportunity to revisit. I mean folks half-price champagne and sparkling wine? Are you kidding me? I’m in! 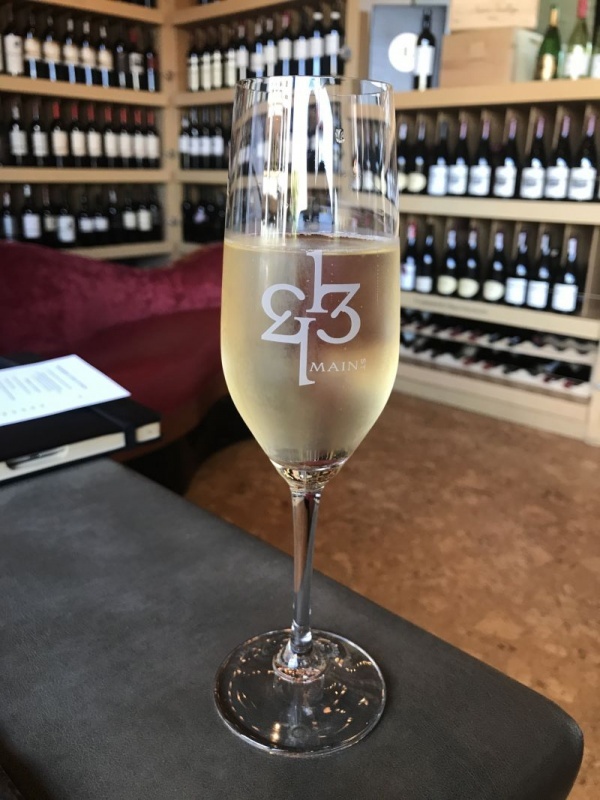 On this culinary blog adventure, my girlfriend Maria (who was one of the diners from our first experience) and I headed out to wrap our lips around some great cuisine. We got there about 5:30 and we were surprised by how few people were there. Obviously, this Wednesday night happy hour party is still a secret, so make sure you tell only your best friends about it. The restaurant look has changed significantly since we were there last. 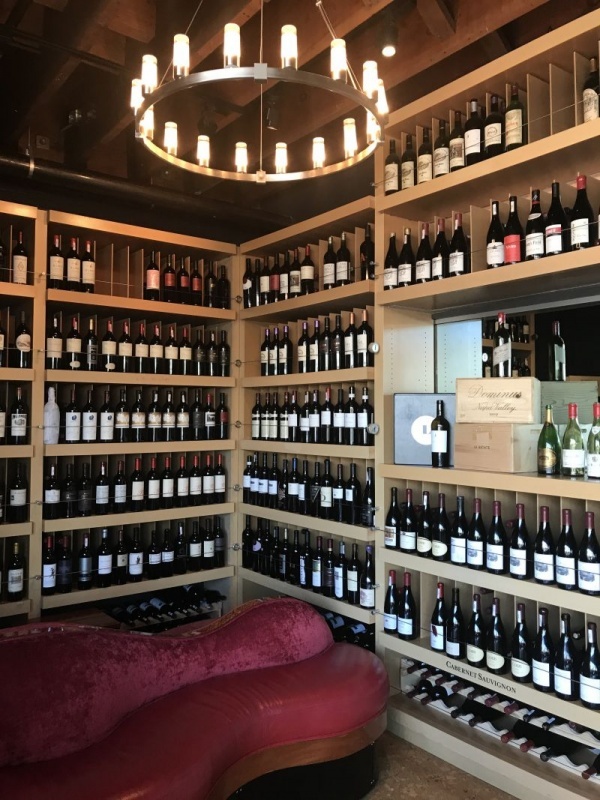 It is done in dark rich colors, with an entire section having a dedicated wine wall. We chose to sit by the window so that my photographs would look good, but the main part of the restaurant is just gorgeous. The perfect setting for a romantic evening with that special someone. I will have to photograph it properly on my next visit, as this time I only had my cell phone. Wednesday nights have a few things going on. I have already talked about the half-price champagne, honestly, I didn’t need more of a reason to go than that. They also have a chef special that they serve: Tonight’s special was fried chicken dinner for two for $49. Extra sides were only $5. I thought originally that is what we would be writing about. Instead, we ordered from the happy hour menu and ordered several dishes tapas style so we could taste more of what was on offer. It was SPECTACULAR. We ordered drinks and of course, I ordered a glass of sparkling wine. It was the Roederer Estate Brut. Rich and creamy, no yeast and light apple, this was the perfect flexible complement to the small plate dishes we ordered. 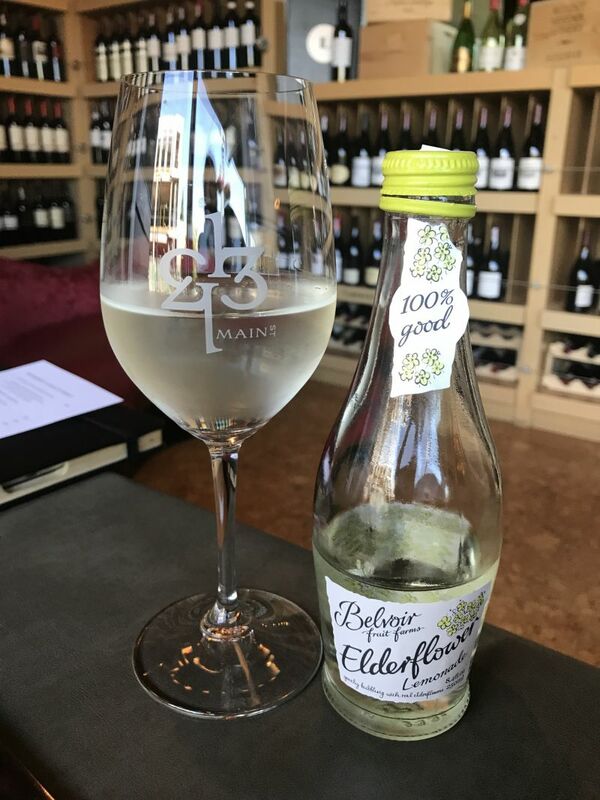 Maria ordered the Belvoir elderflower lemonade. She loved its light, slightly sweet lemon and floral flavor. Since she was driving, she really liked it that it was non-alcoholic yet still something a little special to enjoy with her food. We were treated to the chef’s amuse bouche to start out. 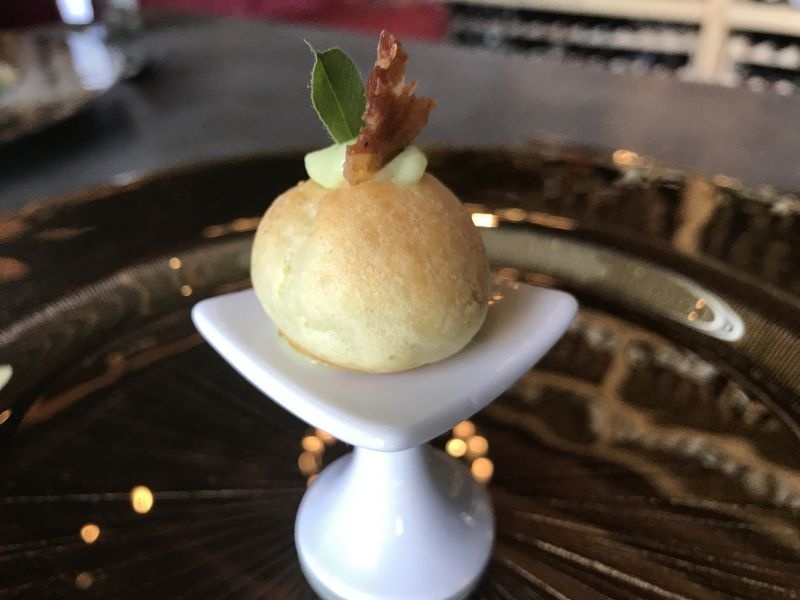 It basically was a savory cream puff bite, stuffed with a pea cream and topped with a crispy prosciutto. I give it 5 stars for originality, presentation and above all flavor. It was light and fresh and just amazing. It was presented beautifully, and I really felt like I was dining in style. Our second course of the happy hour tapas was roasted green beans. Ok, so when we ordered these we couldn’t imagine how this would be served. What we received again had us gasping! 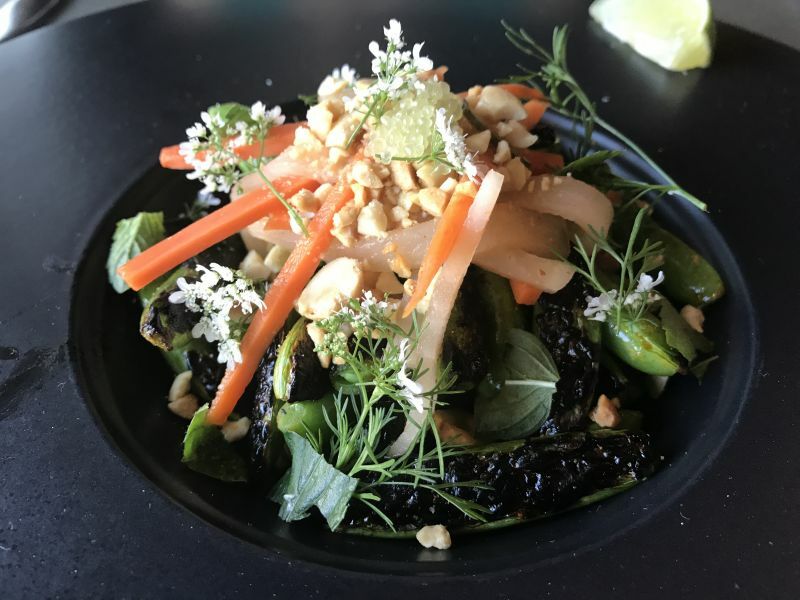 What came was a bowl filled with roasted green beans drizzled in a soy sauce topped with ginger and carrot sticks, chopped nuts, sprigs of herbs and leaves, and topped with roe. The combination of flavors was so exciting, it was a joy to the palate. We dug in and ate with gusto! The next dish we shared was the duck taco. So, ok, I have had many good examples of duck tacos in the past, but this was probably my favorite of all time. 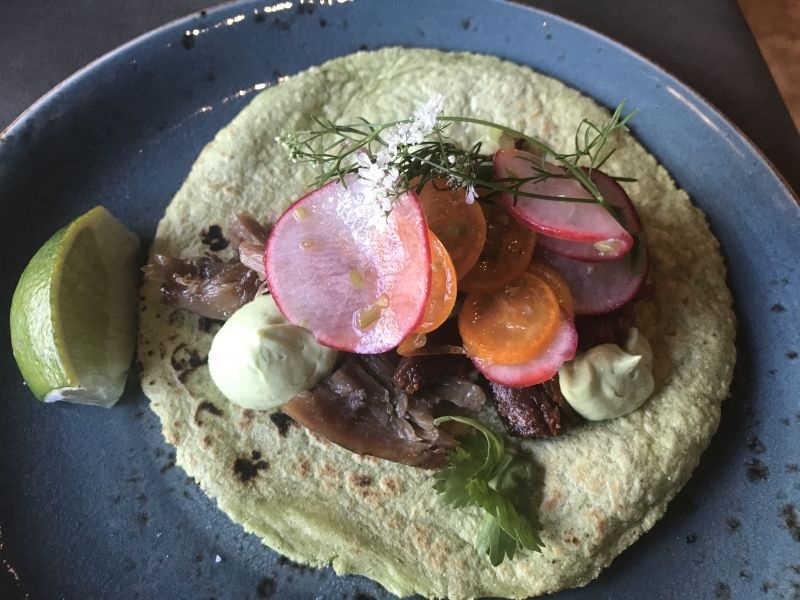 The homemade herb corn tortilla started out the beautiful flavor, followed by the rich shredded duck and then topped with avocado cream, and radishes. But what really made all of the flavors really stand out was the addition of slices of kumquat that really made it over the top yummy. It gave an orange like citrus finish that blended all of the flavors together. It was a WOW. Onto the last main course: The Burger. 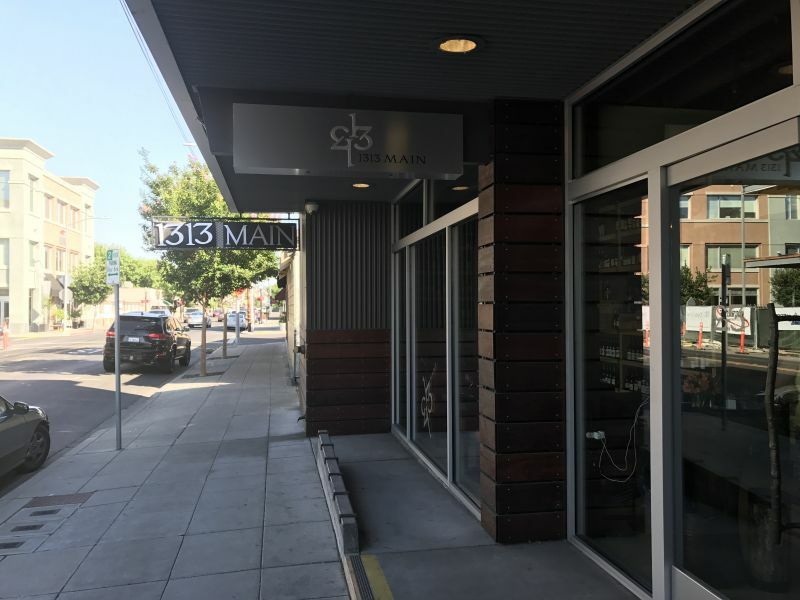 So, when I was last at 1313 Main, our server proclaimed that the burger they serve is the best in Napa Valley and threw down the challenge for me to try it. Since it was on the happy hour menu, we decided this was a must have and shared that too. What came was a juicy OMG looking burger that made my mouth water just looking at it. The juice was running down the sides of the burger it was so luscious. 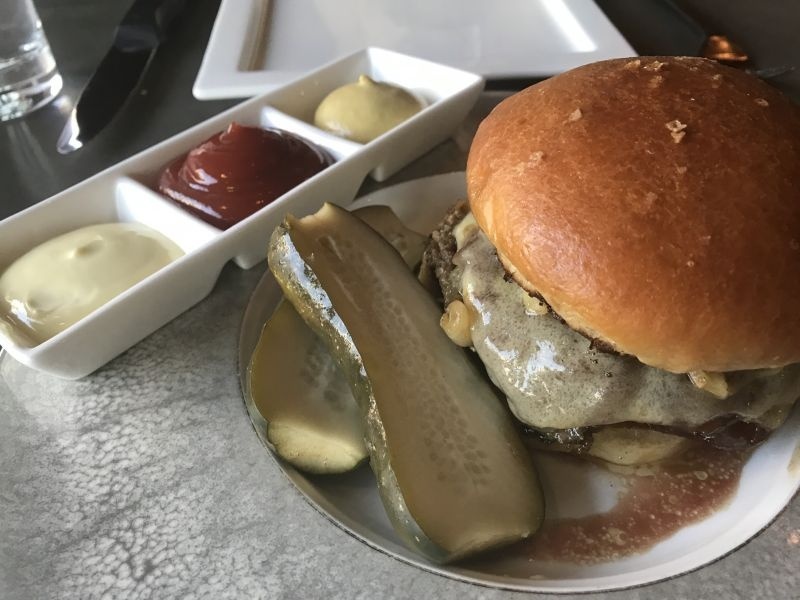 This is by far the best burger I have had in the downtown Napa area. Every single note was amazing. Served with it was a huge homemade pickle half that was the perfect combination of sweet and sour. A cone of lightly garlic and herb flavored french fries came with the burger. I don’t particularly care for fries in the main, but these were great. 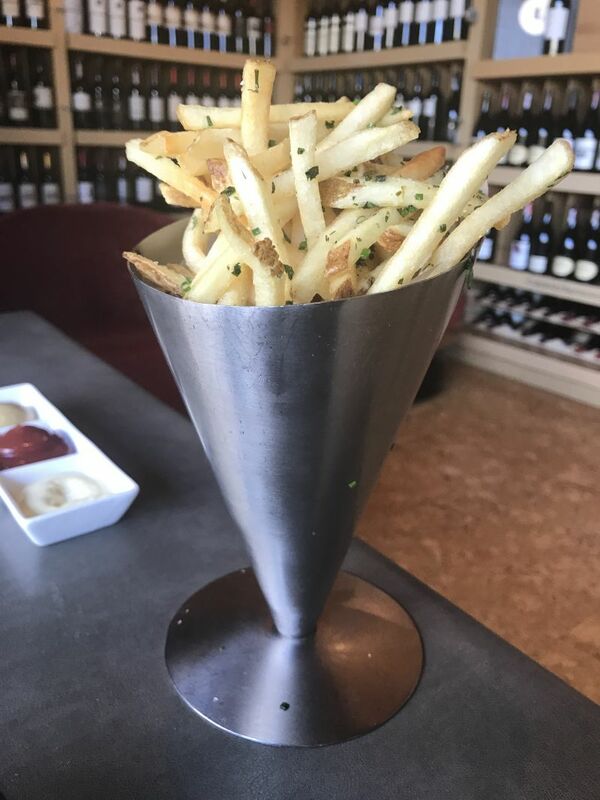 One of the things that impressed me about them was that they were served in a metal cone. The metal helped keep the fries from getting cold. That alone made them even better! When it was time for dessert, even though we were both full, we decided on the chocolate bomb. 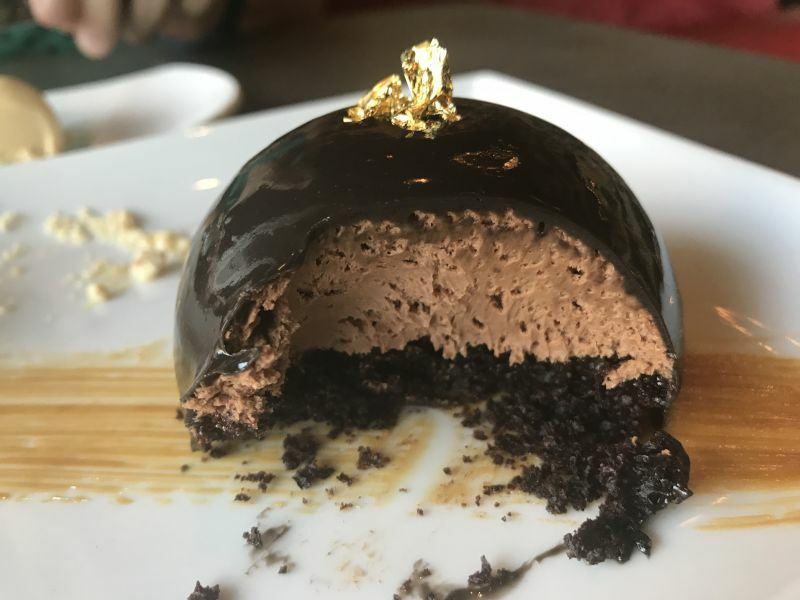 The thing that really struck us about the dessert was the depth of chocolate flavor, its wonderful perfect amount of sweetness without being a mouthful of sugar and of course, its presentation. The dessert consisted of a layer of chocolate cake, topped with a light chocolate mousse and finally with a shiny chocolate ganache. 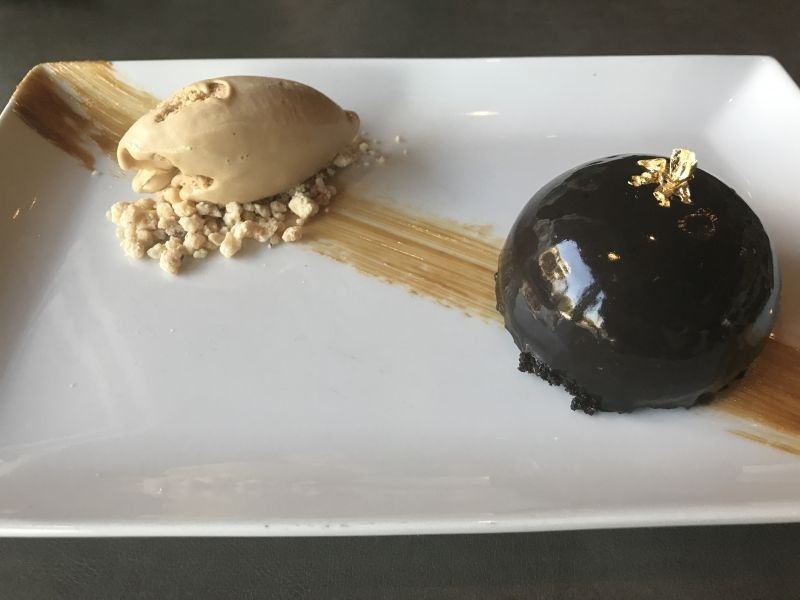 It was served with a side of salted caramel ice cream. It was rich and creamy and had a lovely light caramel flavor without being overly sweet which I truly appreciated. I’d like to point out here another thing about our experience: the service. 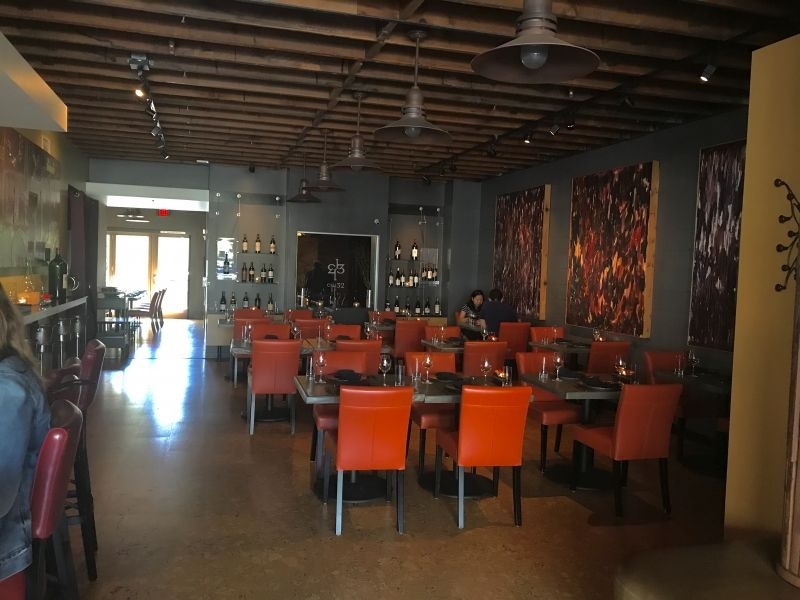 Yes, the restaurant was beautiful, and the food was outstanding, but you know, the service is equally important in my book for the meal to be truly outstanding. The service was impeccable. No sooner did we get our water glasses emptied to the half way point they were refilled. After each course, we were asked if we were happy with what we ate, and each dish was brought out and explained. We both loved it. The entire bill for this meal? $57.00! Amazing. That included the drinks! This restaurant truly impresses on every single level. We walked away happy, sated, and feeling like we had a culinary experience. That is what eating in Napa is all about, isn’t it? We give 1313 Main the HIGHLY RATED GO GO GO button!